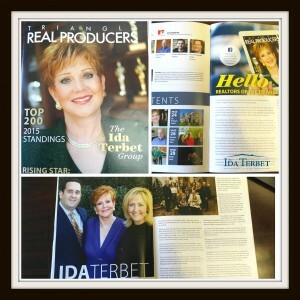 Ida Terbet Recognized by Triangle Top Producer Magazine! Just Listed! 1320 Colonial Club in Heritage!